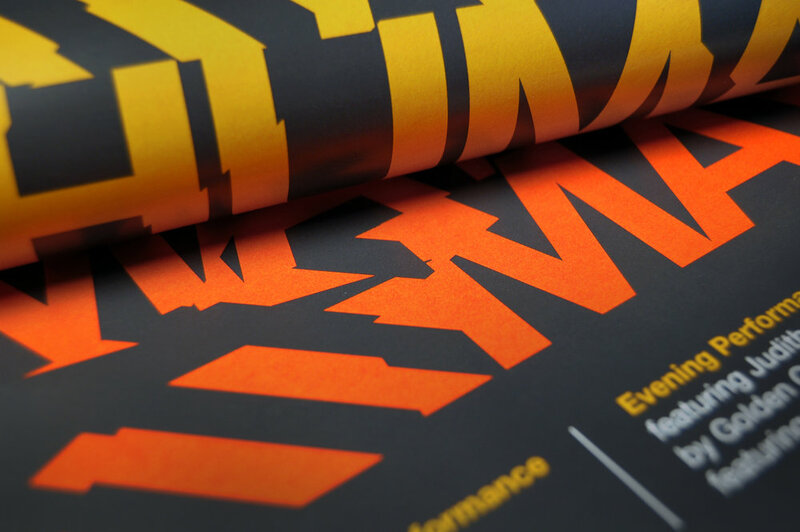 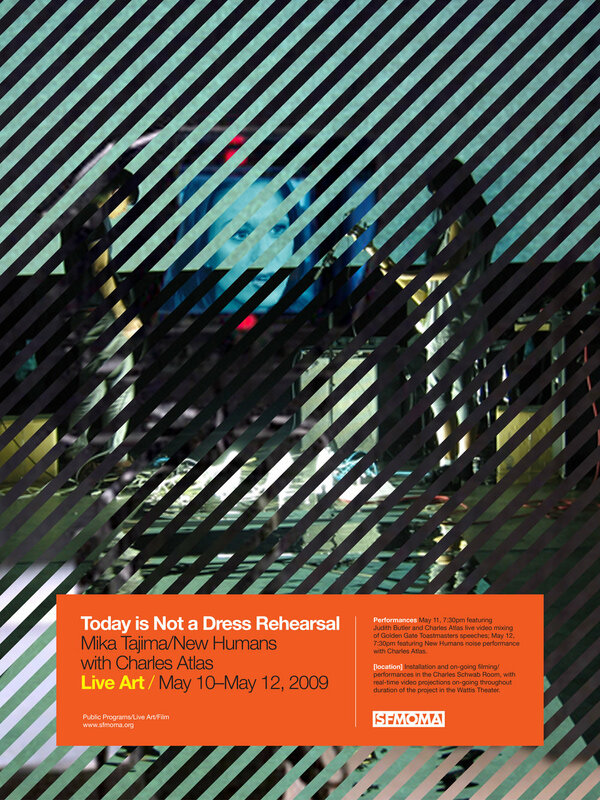 A poster for SFMOMA announcing a performance by installation artist Mika Tajima and her noise band New Humans. 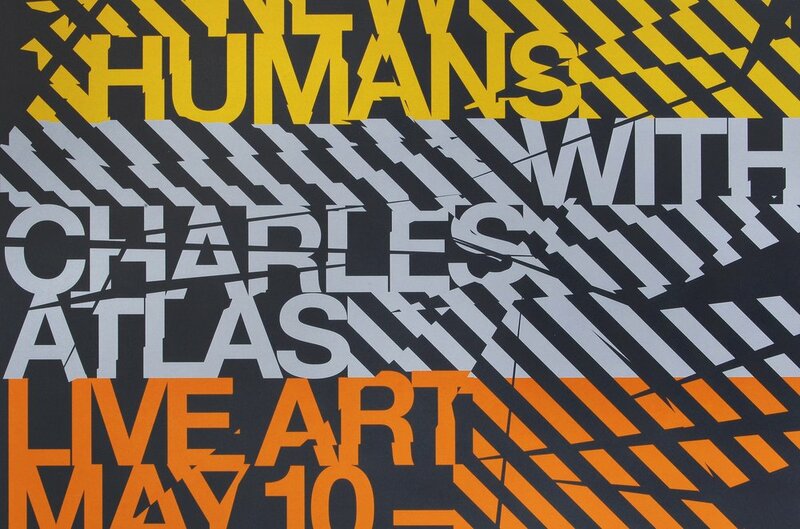 The visual language combined the artist's penchant for smashing glass along with the stripe motif used throughout the museum building. 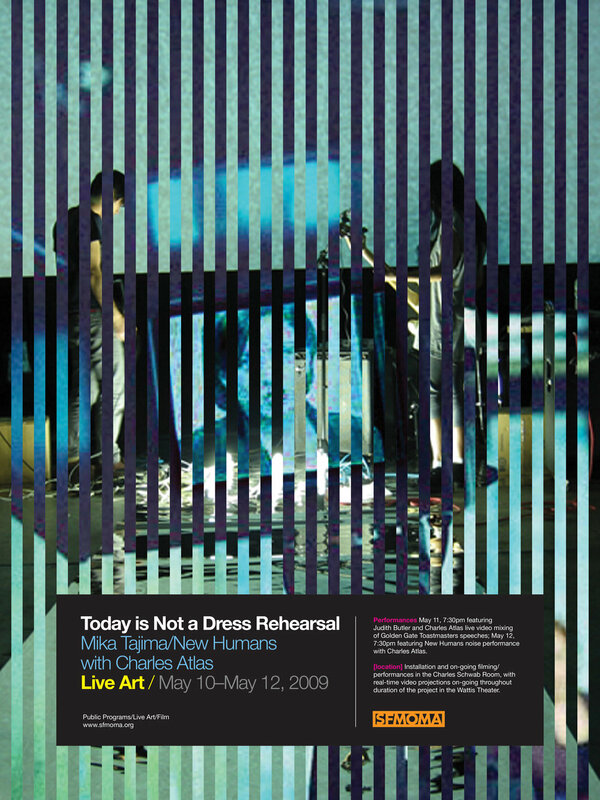 Design outtakes from the assignment, below, incorporated the artist's use of mirrors and seeing two different images simultaneously.